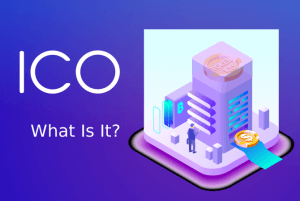 If you are interested in learning ‘’what is ICO’’ and looking for "what is ICO guide," you came to the right place. This article will help you to understand what is ICO, how does it work, its risks, and benefits. ICO stands for Initial Coin Offering. It is a new way to raise capital for all sorts of blockchain-related projects by selling cryptocurrency. New projects use it to sell freshly minted crypto tokens in exchange for Bitcoin, Ether, other cryptocurrencies, and, at times, fiat. In a way, it resembles Initial Public Offerings (IPO), except that ICO’s are mostly unregulated and grant little to none rights to investors. So why would anyone buy or launch an ICO? There are several ways how ICO’s can be beneficial for their stakeholders. An opportunity to obtain new cryptocurrency for a low cost in hopes to get good returns on their investment (sort of like buying Bitcoin in 2011). ICO coins may come with additional benefits, like revenue redistribution or privileged access to projects products and services. Ability to support projects and teams you like. Quick access to seed funding with fewer regulatory restrictions. Funds without any loss of equity unless stated otherwise. Opportunity to create and experiment with innovative decentralized business models. An initial user-base which is eager to test the service. Relatively inexperienced team with no guarantee that the project will fulfill its promises. No regulatory protection and guarantee of returns. Limited transparency on project development and progress. The risk of the project being an elaborate scam or pump and dump scheme. Uncertain regulations that may result in fines or sentences. An unstable investment which comes from the volatility of cryptocurrencies. At the end of the article, you can find a list of symptoms that may indicate the ICO project is a scam. Now, let’s take a quick look at how ICOs came to be. ICO history began in 2013 when the first one was held by Mastercoin, a digital currency and communications protocol. It raised approx. $5 million. Soon it was followed by the Ethereum ICO, which managed to raise around $18 million at the time. Since 2014, the ICO market was steadily growing but didn’t see an explosion until 2017-2018. It saw 875 ICOs in 2017 alone, almost 30 times more than in 2016. They helped raise over $6.2 billion, compared with $96 million in 2016. 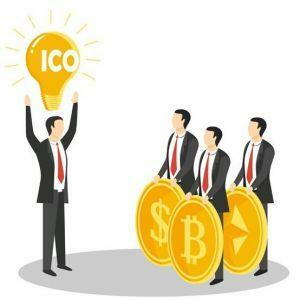 Still, the record year for ICO’s was 2018 with more than 1200 ICOs which resulted in $7.85 billion raised. The largest ICO to date is that of EOS, a decentralized application network, which raised over $4 billions in several rounds during 2017 and 2018. Since the ICO explosion in 2017 and 2018, the interest in ICO’s began to wane. A project or a company specifies its intentions to hold an ICO by publishing a so-called whitepaper. It explains the project, its goals, how much capital it needs to raise when the ICO is scheduled, and other information to help investors decide whether to participate. In exchange for making an investment, an investor gets the project’s cryptocurrency, usually referred to as a token. Depending on the project, tokens may be acquired in exchange for other cryptocurrencies or fiat money like US dollars, euros, and so on. 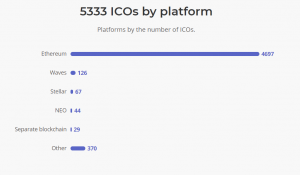 Most of the ICO tokens are issued on dapp platforms. As of 2019 February, the most popular token issuance platform is Ethereum. ICOs let startups and other companies raise capital much more easily than, for example, by selling shares or bonds or getting loans. The market is still largely unregulated, and they don’t need to deal with venture capitalists or banks. Going forward, however, raising capital via an ICO can be expected to become more and more complicated as the market matures and new regulations are introduced. The answer is maybe. There is no clear regulatory framework regarding ICO’s yet, so it is an utterly gray area. In the future it is likely to be regulated; therefore, most ICO’s are required to comply with KYC/AML rules. As of now, it’s too difficult to impose any limits, since most officers are hesitant to put restrictions on a potentially world-changing technology. United States Securities and Exchanges Commission (SEC) treats ICO’s differently. If the token being sold is merely a utility token, it does not classify as financial security. However, if the token has qualities of an equity coin with a sole purpose to appreciate in value and benefit its investors, then it can be treated as security and must comply with the legal processes. At the end of the day, until a regulatory framework is imposed, most people will continue to use ICO’s as a tool for fundraising. An exit scam ICOs are quite popular so the ability to identify them can save you much money. According to Ernst & Young, almost 10% of all funds raised by ICO’s end up in the scammers' wallets. Anonymous team. 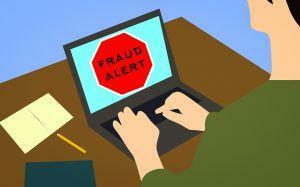 Many scams do not publicize their team, so no one can verify who is related to the project. It is a major red flag. An offer seems to too good to be true. If the project offers you ludicrous returns or impossible products, that’s a major red flag. No roadmap. A serious startup always plans ahead and is open about its further steps. If the future of the project is concealed, it’s probably non-existent. Bitcointalk.org thread. A legit way to launch an ICO is by announcing it on BitcoinTalk.org. It is the largest forum for Bitcoin and cryptocurrencies, and legitimate projects will gladly participate in the discussions and answer all the questions. Code. Credible projects will commit their code to Github where everyone can review it. No code, no project. Is the token or blockchain necessary? Many projects can function well without a distributed ledger. Many projects try to take advantage of ICO’s just to collect extra money. So ask yourself, does it really need its own coin? PR and media activity. Trustworthy projects hire qualified marketing specialists who manage to create an active, engaged community. Also, it is always a good sign if the project gets positive mentions in quality publications. Remember not all ICOs are scams, and they also provide a legit way to raise funds for legit and cool projects. Previous - Can I create my own cryptocurrency? Next - Why invest in an ICO?